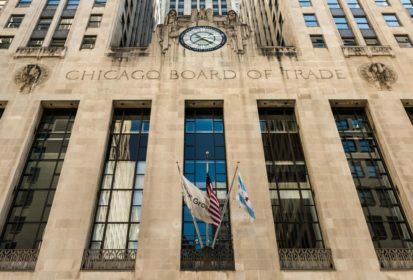 CNS Canada — Trade uncertainty between China and the U.S., along with good U.S. growing conditions, is pressuring the soybean market on the Chicago Board of Trade (CBOT). During the week ended Wednesday, the July CBOT soybean contract dropped about 30 cents to $9.9425 per bushel (all figures US$). The CBOT July corn contract also dropped over the week. The contract lost more than 10 cents to settle Wednesday at $3.7825 per bushel. Soybean and corn markets have been under pressure from good crop and weather conditions in the U.S. The U.S. Department of Agriculture crop progress report released Monday rated U.S. corn crop conditions at 61 per cent good and 17 per cent excellent, while the soybean crop was at 61 per cent good and 14 per cent excellent. “The excellent crop conditions are a cloud. The fact that the weather conditions are, I would describe them as non-threatening, those are all issues which I think are going to keep long specs at bay until we see some kind of turn in the weather,” Feltes said. The CBOT wheat market rallied Wednesday, with the July contract rising almost 10 cents to settle at $5.1975 per bushel. Dryness concerns in Russia and northern Europe lent support to the market — putting some “zest” into it, as Feltes said. “I’m not sure it’s got a lot of legs because we’re just at the cusp on the U.S. wheat harvest picking up and Oklahoma wheat yields have been better than expected,” he said, adding that new-crop wheat sales have been way below normal, which could weigh on the market.